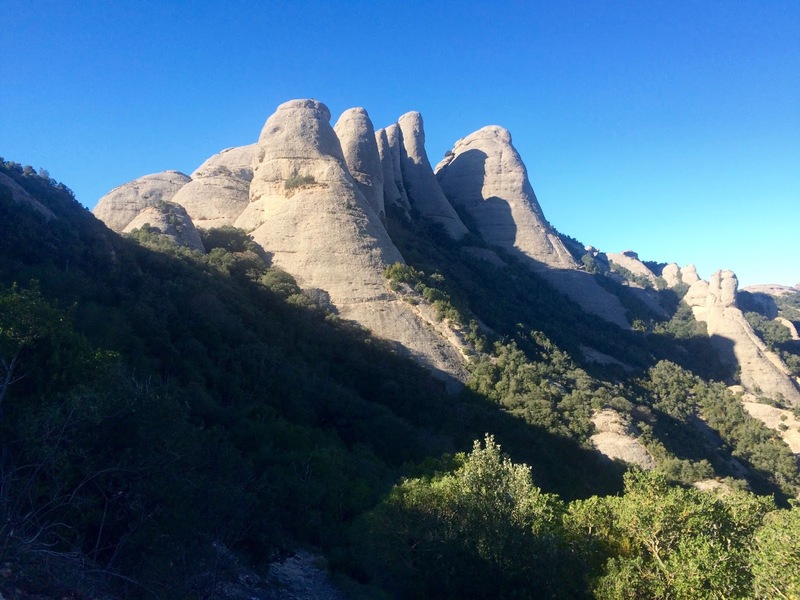 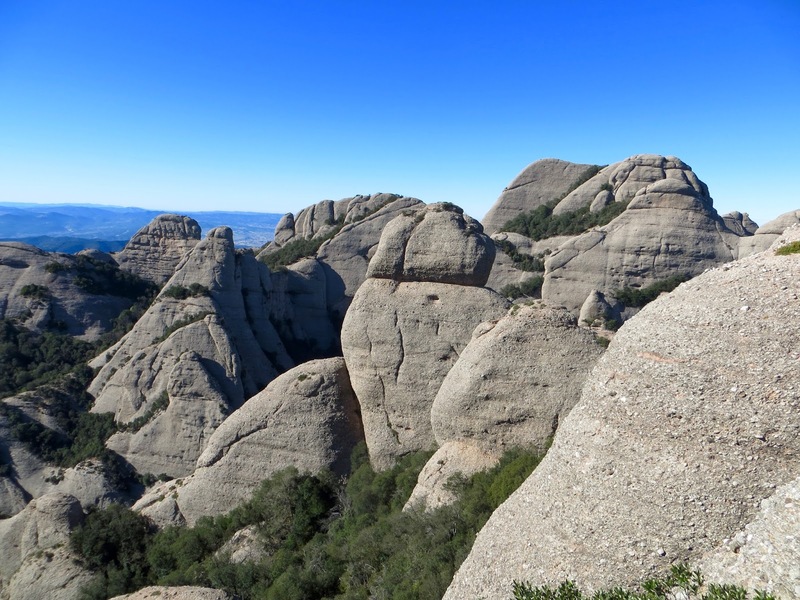 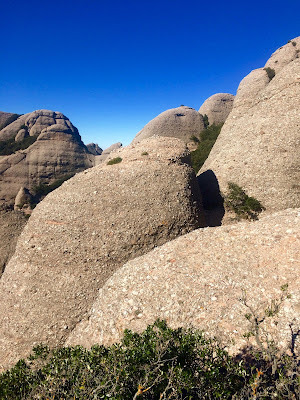 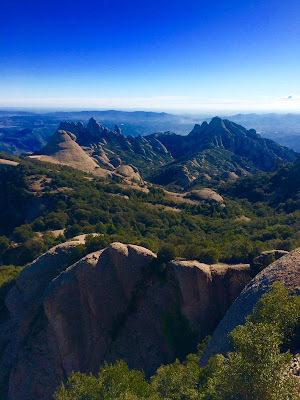 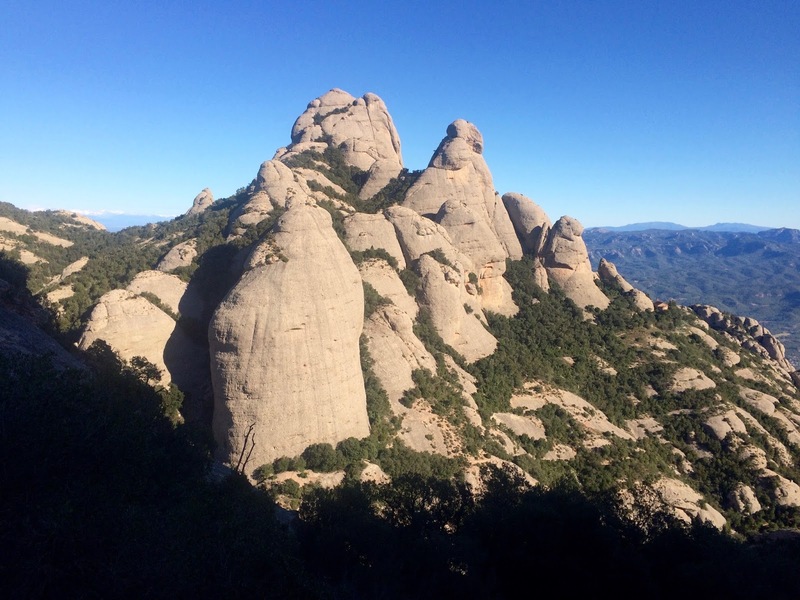 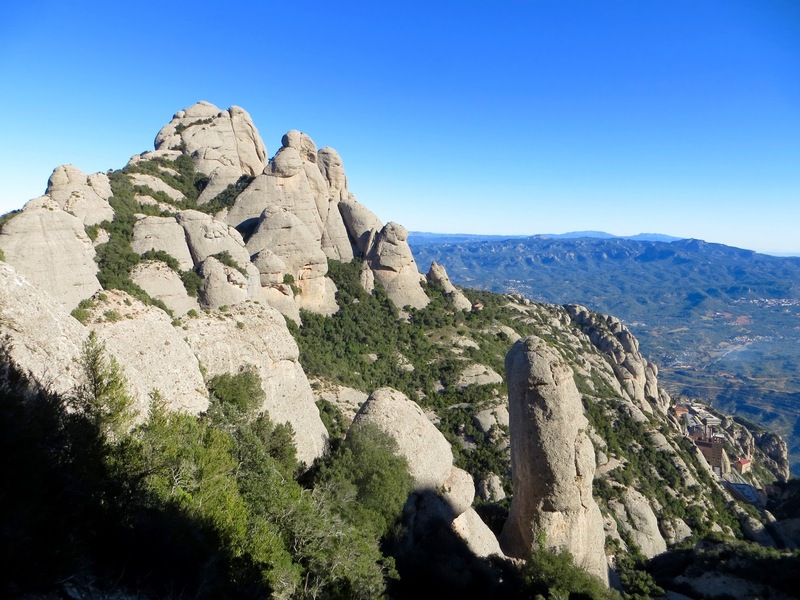 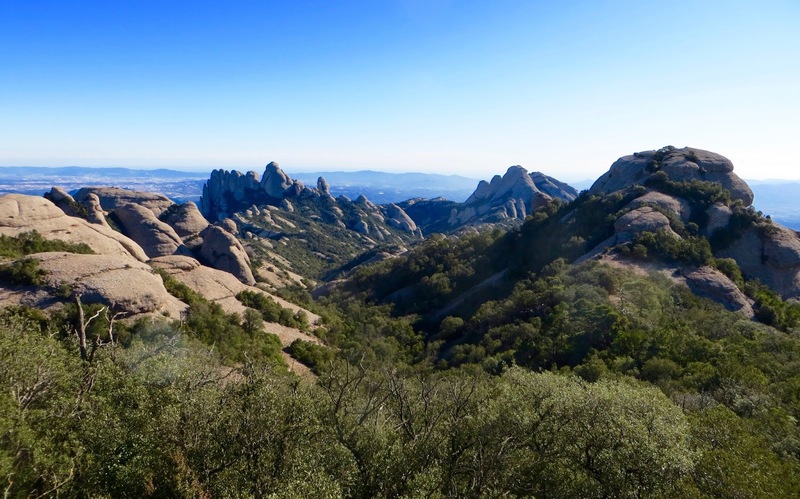 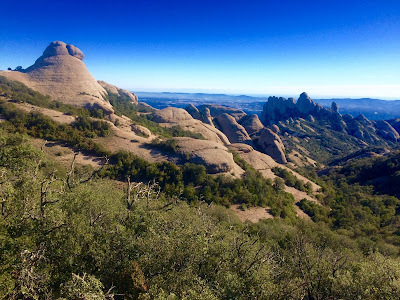 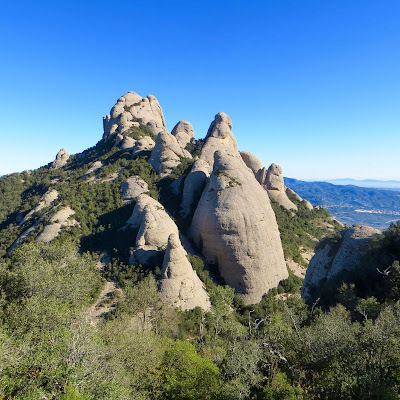 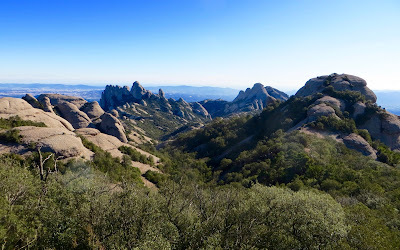 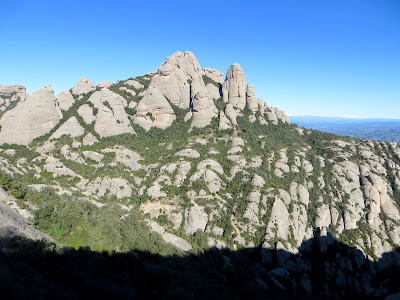 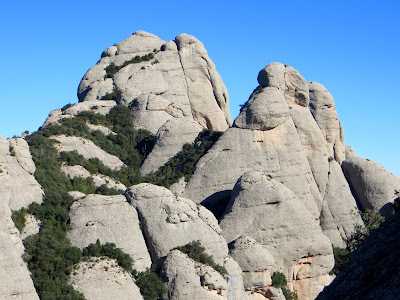 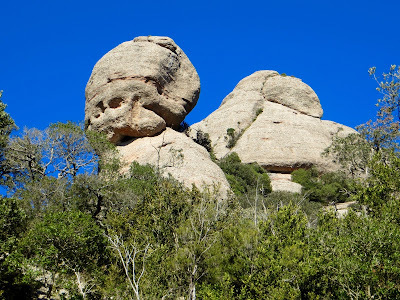 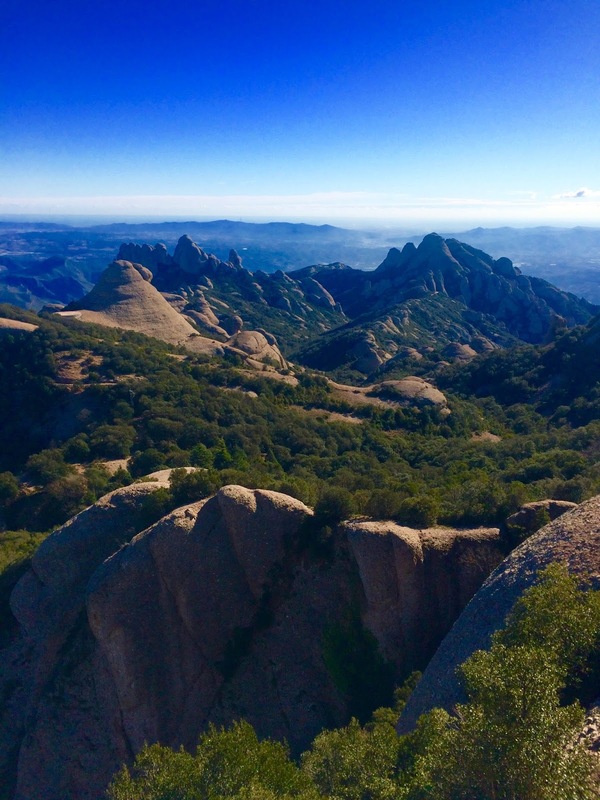 After Ultratrail Collserola my schedule allowed for a long-awaited daytrip to Montserrat. It's a popular 10 km long and 5 km wide mountain area, where Santa Maria de Montserrat Abbey is located about 48km west from Barcelona. 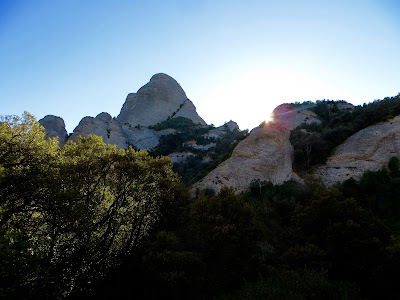 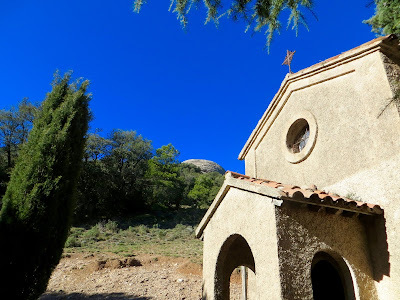 The history of Montserrat started in 880 when shepherd kids saw a bright light descending from the sky. 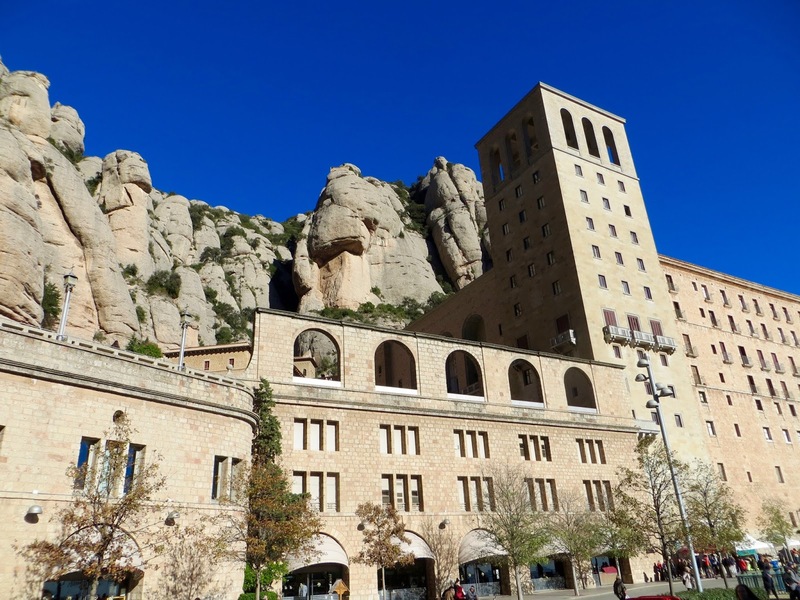 Today there are about 100 Benedictine monks based at the monastery. According to their philosophy, there is an importance to what every person is. 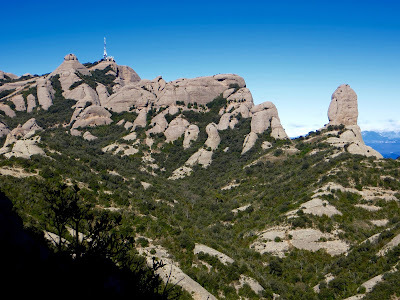 They have a famous boys choir called L'Escolania at Montserrat. In case you are interested, here's how I travelled there. 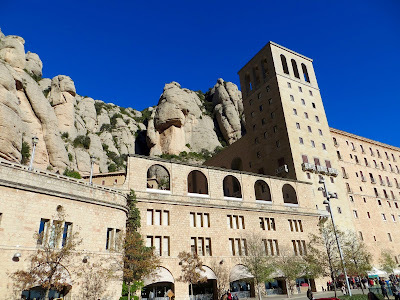 In the morning I took a metro from my hotel in Barcelona to the Espanya station and walked to the railway platform R5. 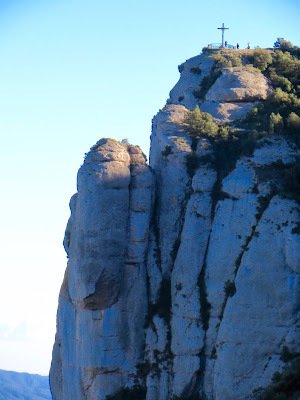 There is a ticket machine and a person behind a desk to help you using it. 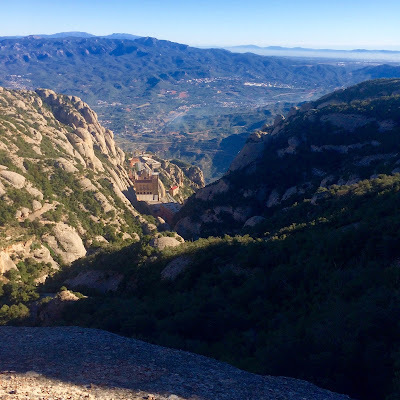 I bought a return ticket to Montserrat Aeri, including the cable car ride to the Monastery, for about 20€. 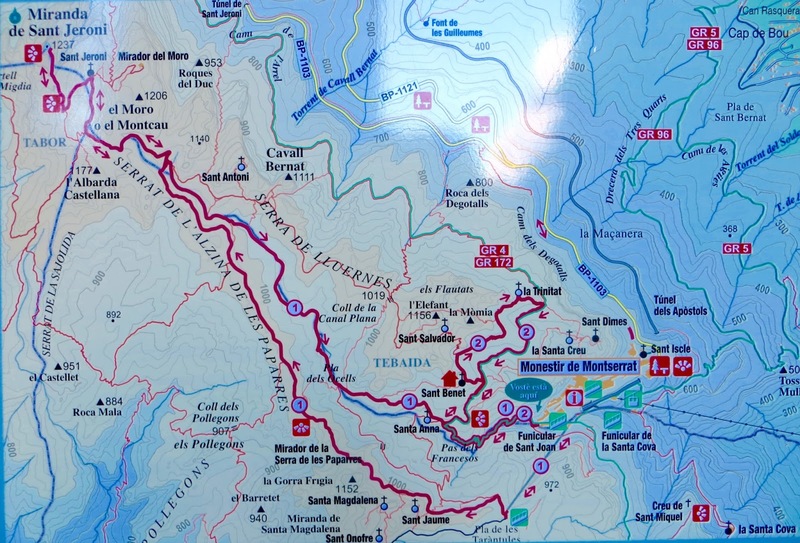 The train to Aeri takes an hour and then the cable car five minutes more. 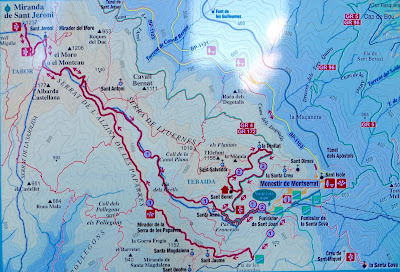 I got a free map from the information office at the monastery and chose itinerary #3 from it. It involved taking Sant Joan Funicular up. From there I hiked the scenic about 10km trail back to the Monastery via the highest peak Sant Jeroni (1237m) and Pla dels Ocells. 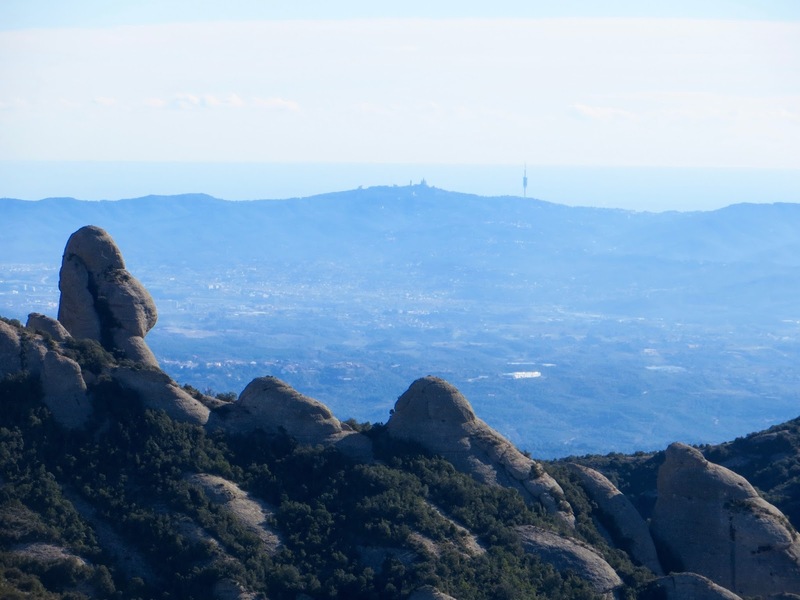 On a clear day like this you can see the whole Catalonya from up there. They say it's also possible to see the island of Mallorca, but I couldn't see it. 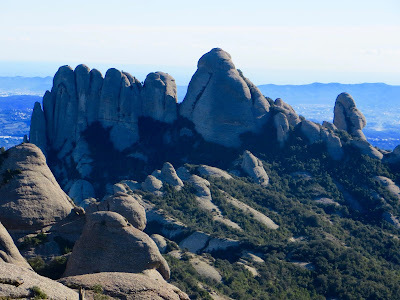 Anyway "The spectacle is out of this world", the tourist itinerary boasts, and I have to agree. 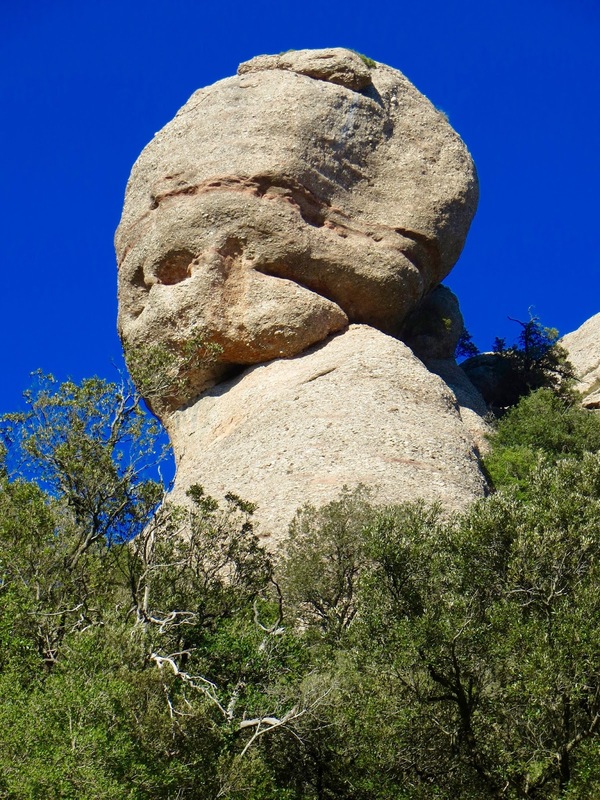 This is mainly due to some spectacularly unique rock formations. 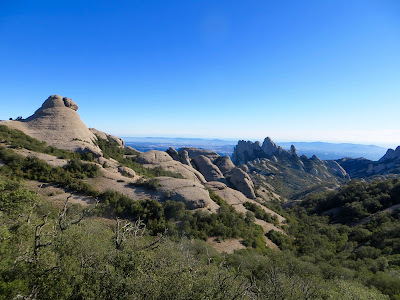 The hike took me four hours because the weather was gorgeous and I made some explorative detours while shooting a lot of of photos and video. 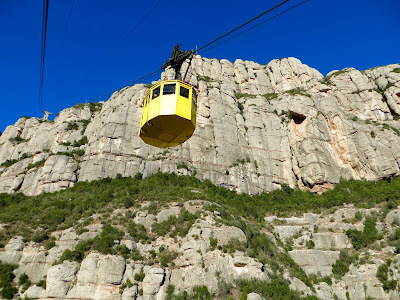 I snacked in the monastery cafeteria and took the cable car, train and metro back to my hotel. 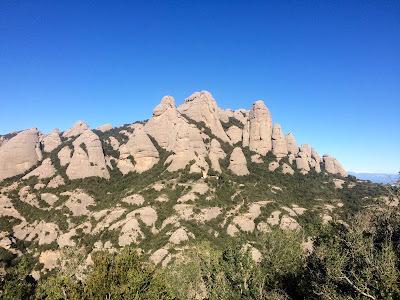 I saw some hikers, trailrunners and climbers, but didn't find the route too crowded. 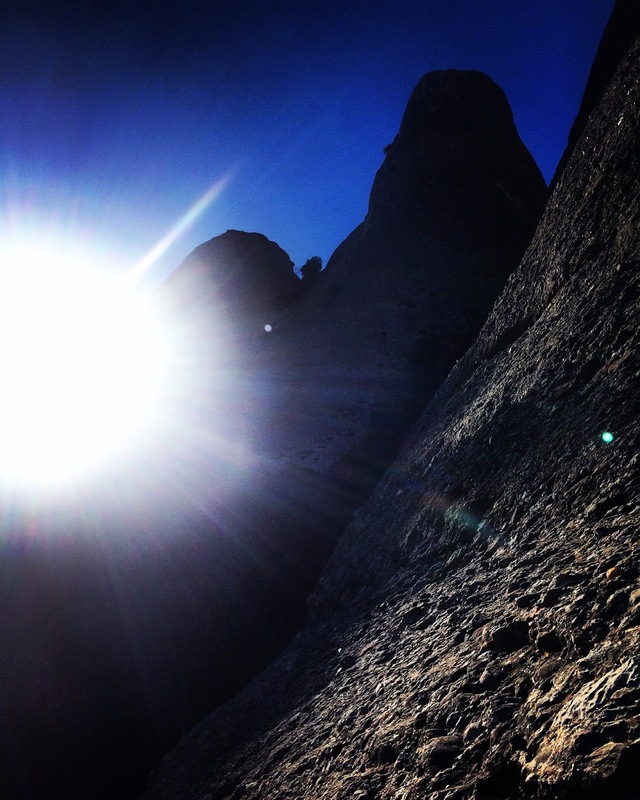 It was a Monday in Mid-November after all. 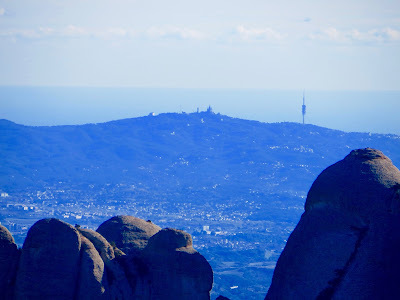 In summer or during weekends there would surely be more people everywhere. 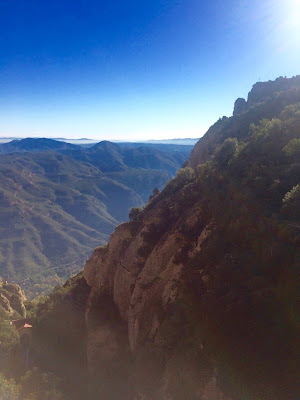 The trails are wide and there are concrete stairs with handrails in the steepest places. 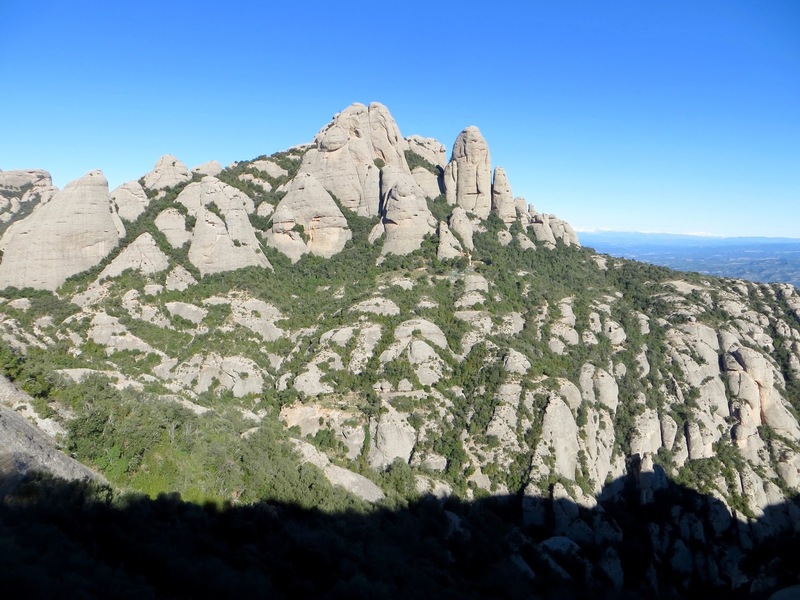 While admiring the views around the highest peak Miranda de Sant Jeroni, I saw two climbers coming up Via Ferrata Teresina. 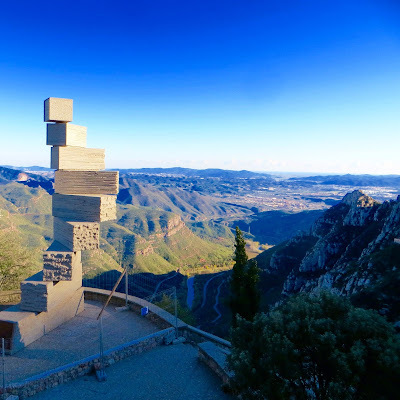 They had started their climb 660 meters below at Santa Cecilia de Montserrat, where Sean Scully Art Space opened in July 2015 (closed for winter now). 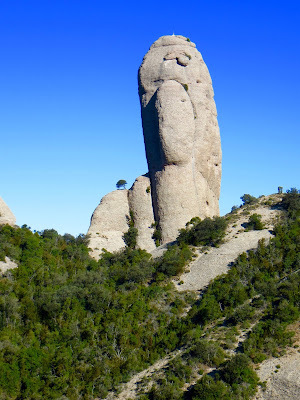 I might be tempted to climb it myself in the future - with a proper guide and gear of course. Without any further ado, below are some of my pictures and the Gopro video. 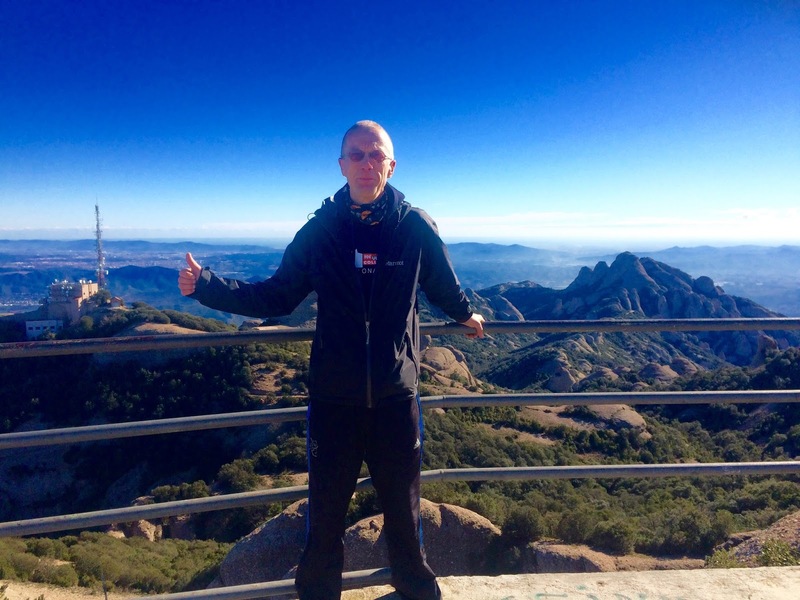 My Suunto Ambit Movescount data is here. 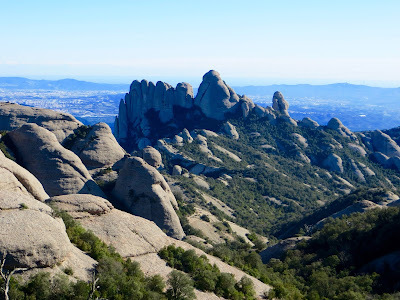 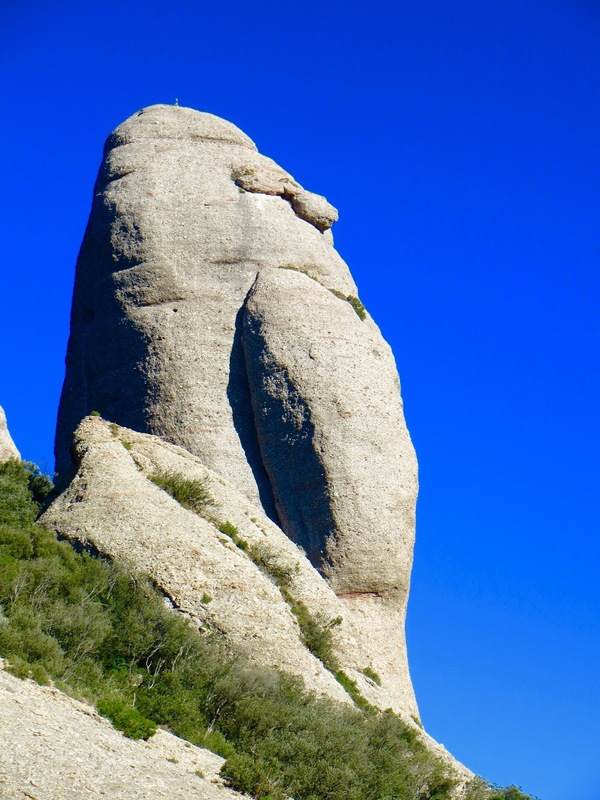 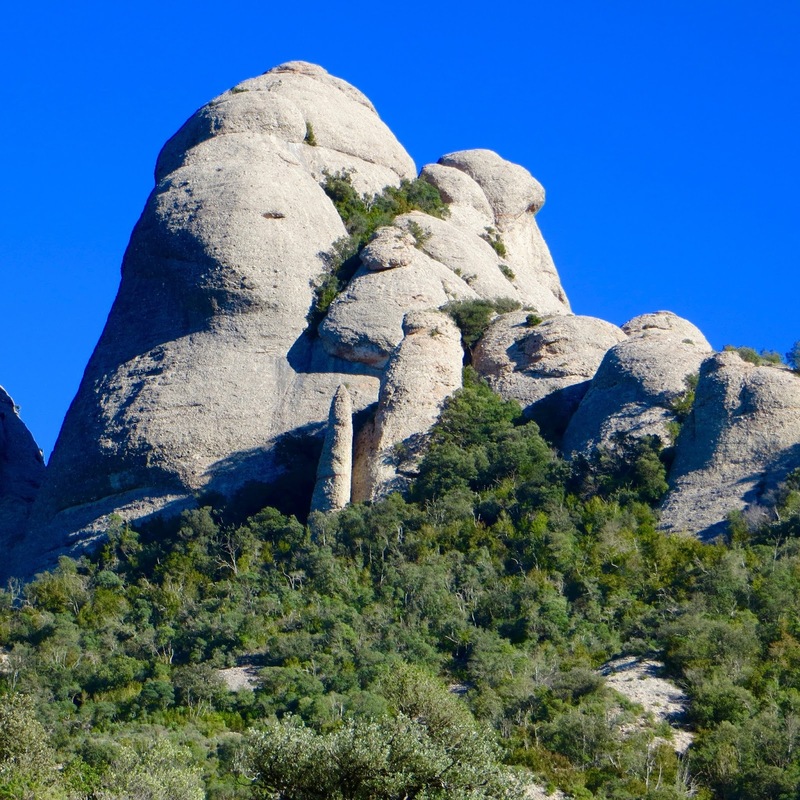 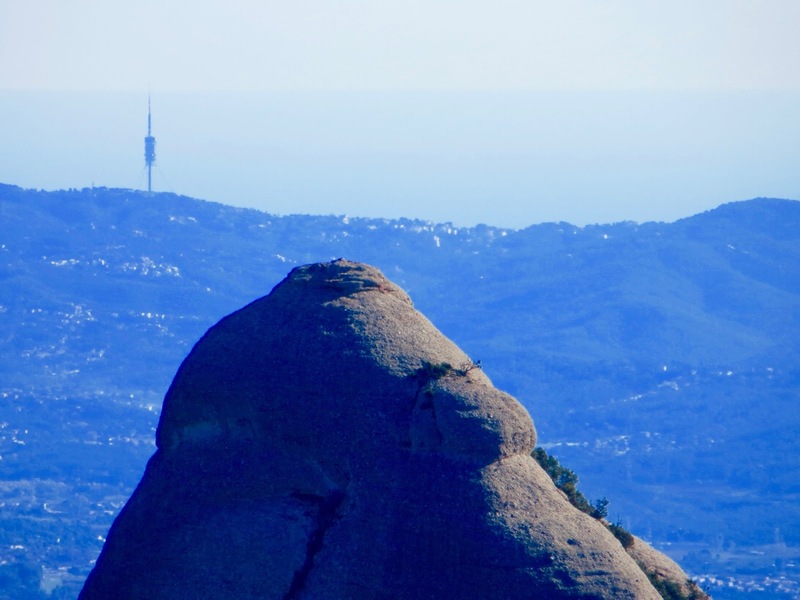 Hope you enjoy them and remember to visit Montserrat the next time you go to BCN!